Quoting from scripture and stating that others in the TV business have made far more damaging mistakes, Joe Scarborough launched a forceful defense of his colleague Brian Williams on Monday morning. "We all make bad mistakes," Scarborough said before citing a version of the book of John, chapter 8, verse 7: "Let him who is without sin, cast the first stone." Scarborough also said, looking straight into the camera for emphasis, "I've seen a lot, I know a lot, and I know there are very few people in this industry or in politics that could live by the standard of perfection." Later, he called for perspective. "If he exaggerated, if he sort of puffed his chest out a little bit, news people do that." He chuckled. "Politicians do that. Guys do that. We've all done that at times. You have to ask the question, 'Where was it done?' Was it done on David Letterman or did he make it a habit when he was reporting the news? Obviously 'when he was reporting the news' would make it much worse." A lengthy conversation about the Williams scandal unfolded on Scarborough's "Morning Joe," the morning show on MSNBC, which is a sibling of Williams' NBC News division. Scarborough, Mika Brzezinski and Willie Geist all acknowledged they aren't objective on the matter, since Williams is a friend and colleague. "This is in our house and it's very painful," Brzezinski said. She said she has been "kind of horrified by the pile-on that I'm seeing out there," adding, "I guess it's part of the game and Brian would know that, too. But it's hard." All three of the co-hosts urged others to consider the totality of Williams' career reporting for NBC, anchoring the "NBC Nightly News" and supporting veterans. "Again, not excusing what he said, [but] to a lot of veterans he's actually a hero in some ways," Geist said. "So it's difficult. It's a hard time for all of us. 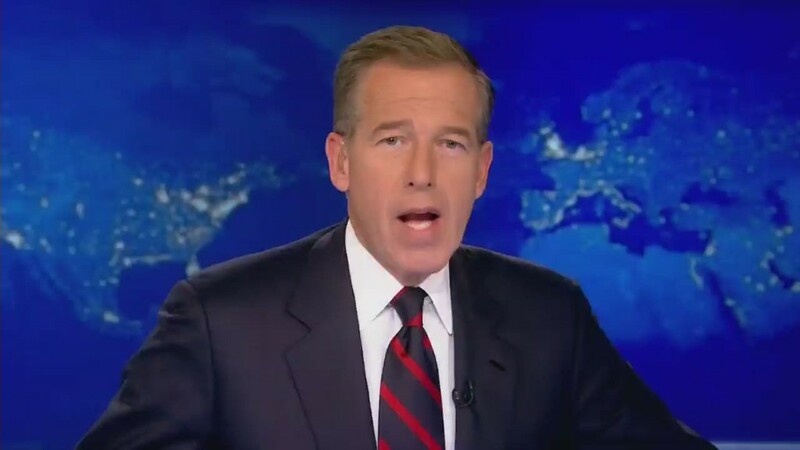 And no one feels worse right now than Brian Williams." Scarborough seemed to acknowledge what others in the television news industry are saying: That Williams may not be able to return to the "Nightly News," despite Saturday's statement that he "will return" after a leave of absence. Scarborough called what's going on "madness" -- "the madness on Twitter and all the madness online." He said he hoped that "when the fury dies down and when we get through this storm, and the decision is made to judge what Brian Williams' future should be, that that decision will be based on the entirety of his career and not only one or two or three mistakes." He quickly followed up by saying that the mistakes were bad, but that "we all make bad mistakes." Later in the conversation, he invoked some of the sentiments that showed up on Twitter over the weekend -- that "a misstatement or an exaggeration about a helicopter is far less damning to the future of this country than the reams of misinformation that were reported leading up to the Iraq War that got us into a decade-long war." "So again, I think we all have done things that we regret -- and I would dare say -- some people have done things in front of a camera, reporting, making mistakes, not following the story the way they should have followed the story, that probably led to a lot more pain and misery and suffering than a misstatement or even a lie about where you were in Iraq when you were there." Scarborough also praised the kindness of the Williams' family. Geist also thanked Williams for encouraging his career and being "a mentor in some ways." "But to be clear, our business is predicated on integrity and telling the truth and being completely transparent," Geist said. "No one here is excusing what Brian has done and some have alleged that he's done. We're just talking about the man right now."